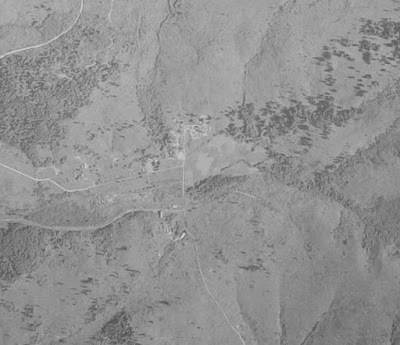 If anyone is wondering, USGS Earth Explorer sometimes publishes upside down historic aerial photos, thereby making it easy for people to mistake one town for another. On the original version of this post I used an upside down version of Bucoda, Tono's neighbor to the northwest. Below is the real Tono, circa 1941, well past its prime. But, you can still see where the town certainly was. Halfway through a random Sunday drive through southern Thurston County, I thought it might be interesting to see if we could get all the way up to the old Tono townsite. I'd read about Tono before, and after looking at where the old town was on a map, I thought there was no way the current landowners (Transalta) left the Tono Road open so anyone could drive up. The road is no only still open, but paved with plenty of places to pull out and take a look. Transalata would probably prefer you not hike out too far, but let's just say its possible. We made it all the way to the old town site. From the road you can see at least one old building, but other than that, there is no real evidence that anything at all existed here. This is most likely because of the extensive strip mining in the area since the town went into decline in the early 1930s. Tono was a coal town, and specifically, a coal for trains town. When the switch was made to diesel, towns like Tono had no real reason to exist. 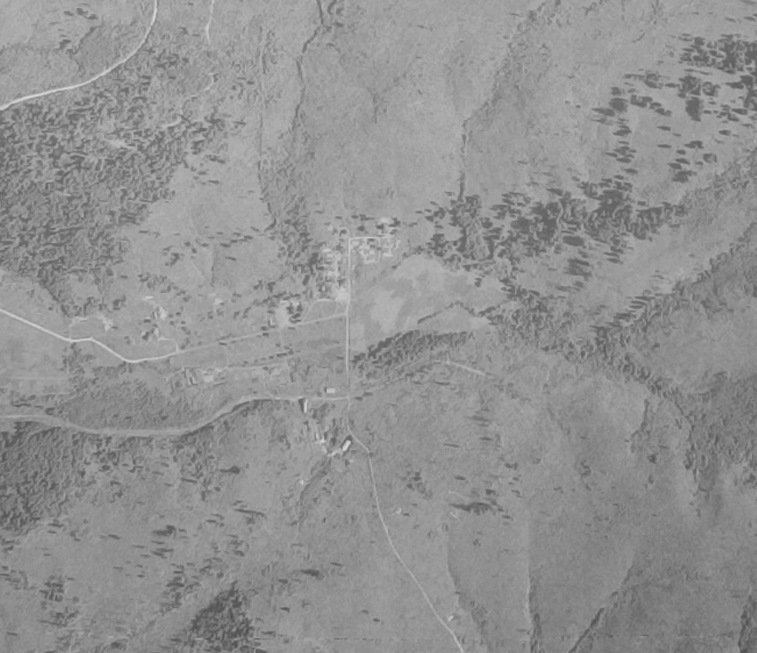 The most interesting thing was locating an aerial photo of Tono (above). That shot is from June 1941, a probably catches Tono on its very last steps out. More than 20 years past its peak, there is very little on that photo that still exists today and much of what is the north part of town, is no under water in two sediment ponds. Great article & what a fun adventure. Well done, Emmett. I would like to share this with the Secretary of State Historical Records Committee. I'm hoping to be able to go back soon and take a quick hike around. Just from the photos I was able to play with today, seems like nothing at all is left. But, would be interesting to see what there is to see. Just in case someone wonders, the original aerial I put up with this post was of Bucodo circa 1941, not Tono. I made the mistake because it was published upside down by USGS, throwing me off. I had double checked it with Bucoda to be sure, but it being upside down and some features seemingly perfectly matching up with the Tono site, I assumed the best. I have it all figured out now, I'll post new aerials soon.